This is a one of a kind opportunity for those who love the outdoors and nature. Walk out the front door and enjoy the famous Brule River in your front yard. A five minute drive down the road brings you to the shores of beautiful Lake Superior and the mouth of the Brule River. This historic piece of property was homesteaded in 1893 with the current house being built in 1947. This well kept, clean four bedroom home offers three bedrooms upstairs and one on the main floor. The main floor has a quarter size bath with a full bath upstairs. The kitchen is fully stocked with cookware, bake ware, tableware, utensils and offers a stove, refrigerator, microwave, coffee maker and toaster. There is a gas grill available for your use. Cable television and internet services are provided. Local phone service is available for emergencies and is capable of accepting all incoming calls. Outgoing calls can only be local unless you have a pre-paid phone card. No linens are provided. While all of the beds have a mattress protector and a clean fitted sheet, renters will need to bring their own pillows, sleeping bags, blankets, etc. Towels, washcloths, dishcloths, also, are not provided. Throughout the home are beautiful terrazzo floors... bringing slippers is always a good idea. Please contact us today to book your next vacation get away. On the Banks of the Brule River. Internet is provided April - October. McNeil's on the Brule is licensed Tourist Rooming House in Douglas County, Wisconsin (#TBES-AUUJ5W). 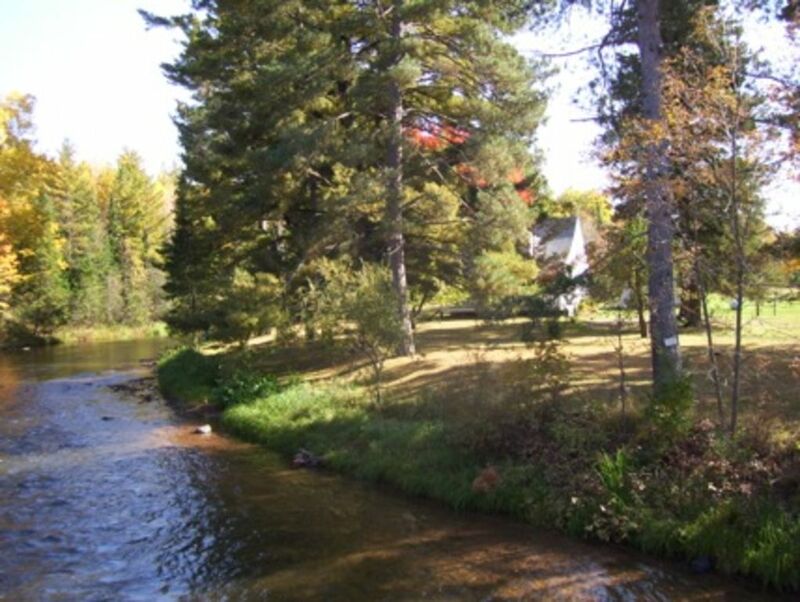 McNeil's is located in the heart of the Brule River State Forest in Northwestern Wisconsin and offers a variety of outdoor experiences including canoeing and kayaking the Brule River as well as world class trout and salmon fishing. The Brule River State Forest provides a diversity of hiking experiences on the North Country Trail, the Bayfield Trail, and the Stony Hill trail. In winter, the Afterhours Ski Trail provides 27Km of well groomed skate and classic trails. Snowshoe trails are maintained at both the Afterhours Ski Trail and the historic Bayfield Trail. Many skiers utilize the Afterhours Trail to prepare for the annual Birkebeiner race held in Cable each year. McNeil's location near Lake Superior's south shore mid-way between Duluth and Bayfield. This offers a variety of experiences ranging from sea kayaking Lake Superior and viewing the sea caves or enjoying an evening of dining, entertainment and site seeing in Duluth's famous Canal Park. Lake Superior offers some of the best beaches in Wisconsin during summer while the Sea Caves turn into breathtaking Ice Caves during winter and are best seen from Meyers Beach access near Cornucopia. Lake Superior tributaries offer a variety of streams with waterfalls at Amnicon State Park, Twin Falls near Port Wing and Houghton Falls near Washburn. For the mountain bike enthusiast, there are miles of remote back roads on the Brule River State Forest, Bayfield County Forest, Chequamegon National Forest. The CAMBA (Cable Area Mountain Bike Association) trails between Iron River and Cable offer top notch mountain bike trails looking for scenic and challenging experiences. For more than 8 guests, it will be an additional $25 per night per person. Rates are subject to change up until reservations are made.